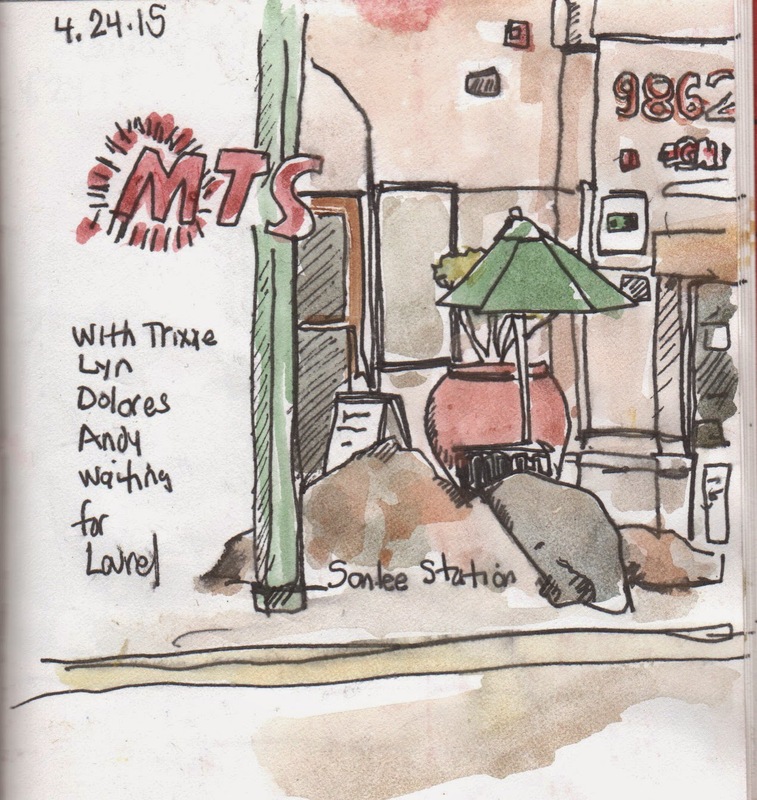 "Trixxies's Trolley Trek" started at the Santee Trolley Station. 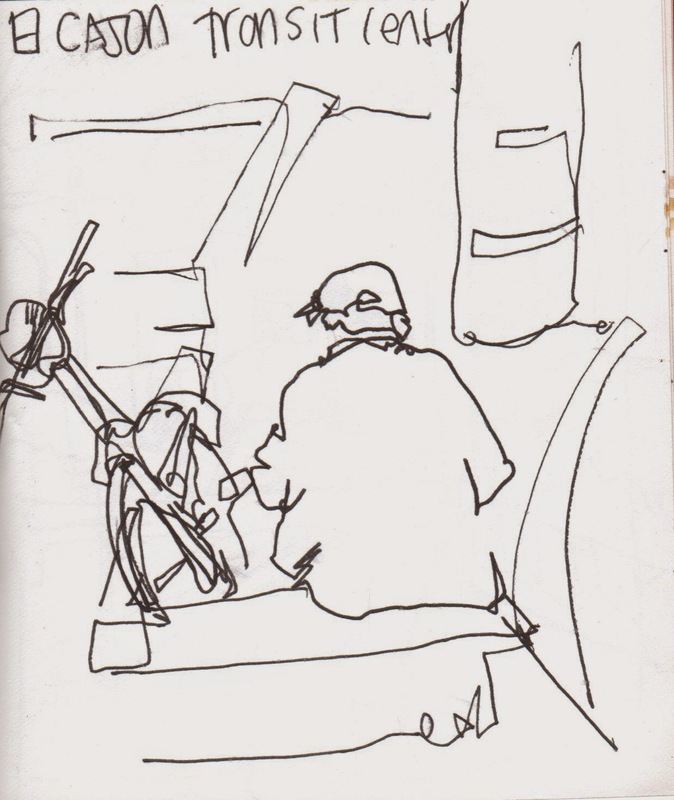 The San Diego Urban Sketchers hopped on the trolley for a short ride to the next stop where we got off, sketched for 15 minutes then jumped back on the trolley to the next station. 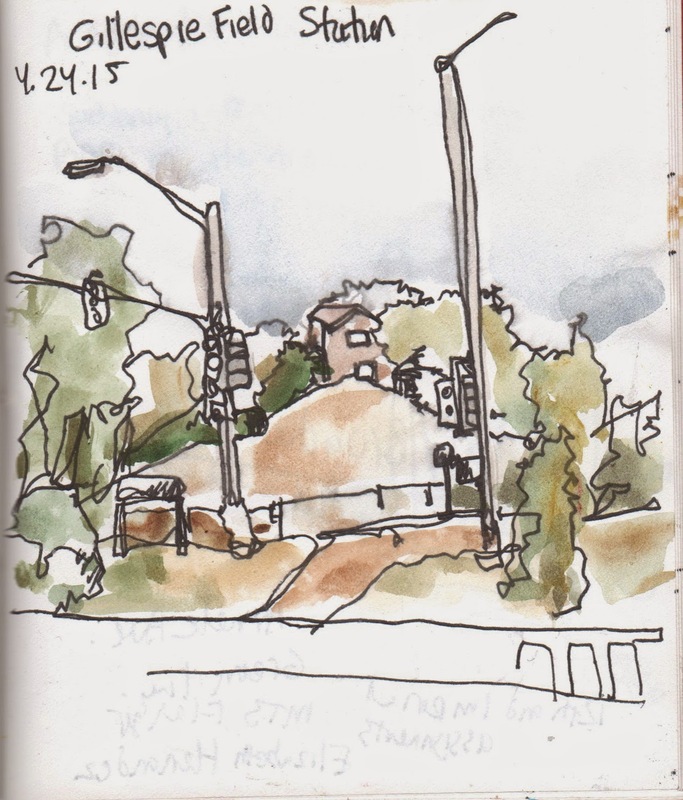 We sketched at 4 different stops before returning to Santee. 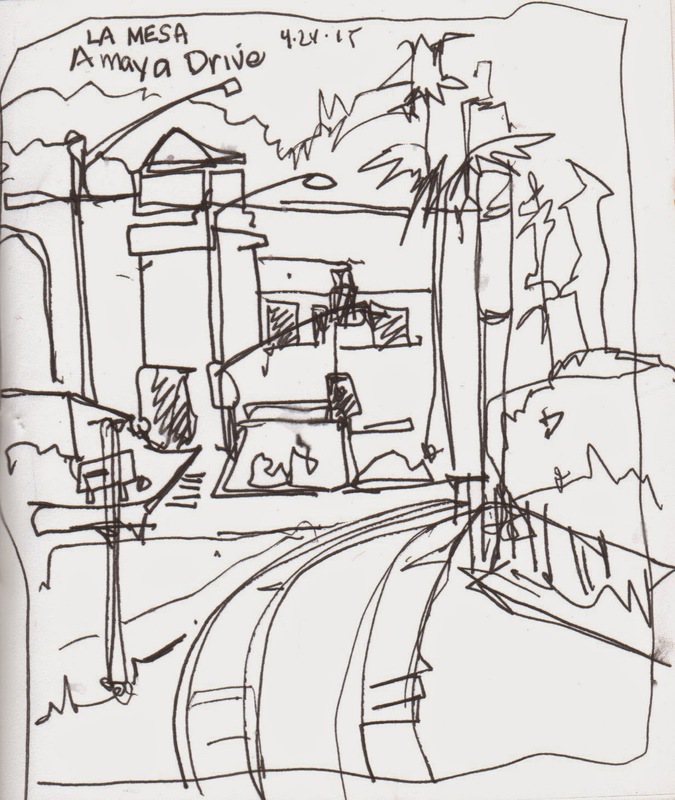 All of the sketches were done quickly, after the 2nd stop i realized I left my bag on the trolley, while it was on the way to downtown San Diego, I continued to sketch but with pen only. 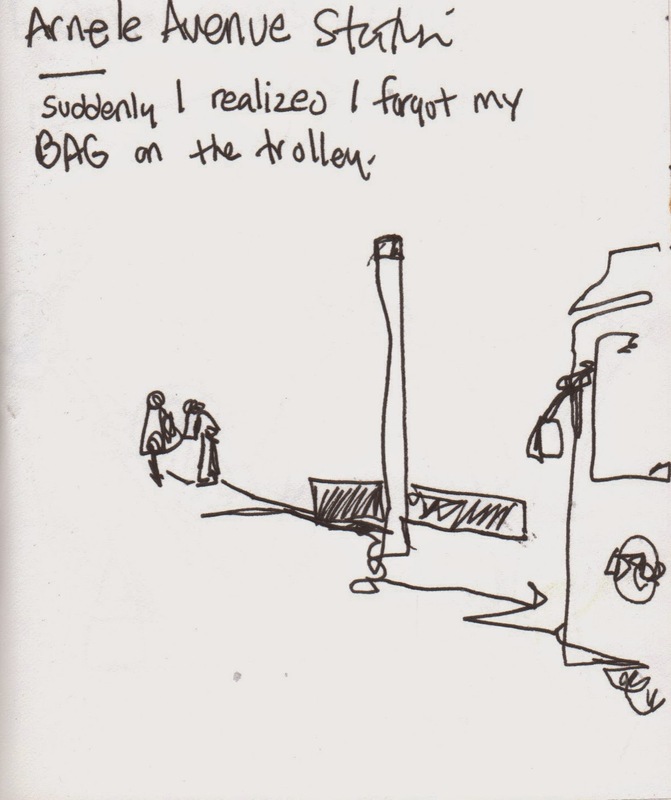 Thanks to a trolley flagger who radio'd the trolley I was lucky get my bag back with all my valuables still in it.